I’m one of those people that would probably eat a paper plate if it had chocolate & peanut butter on it. Really. 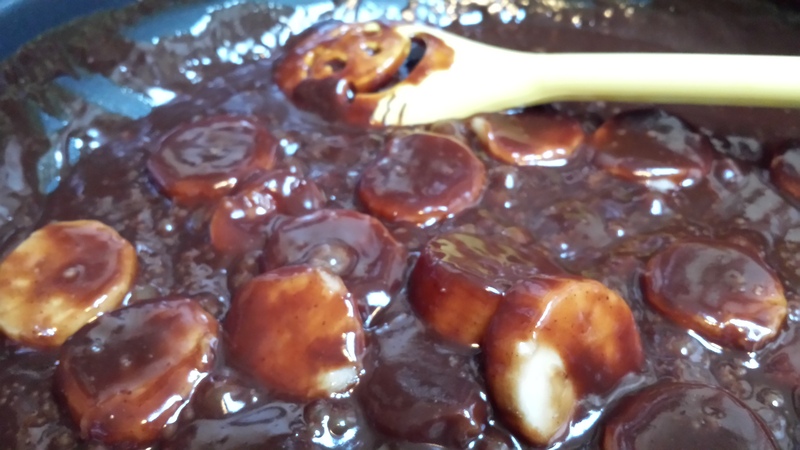 Imagine my “bliss” when given the task of creating a recipe using Terrapin Beer Co Liquid Bliss. The angels sang! Really! 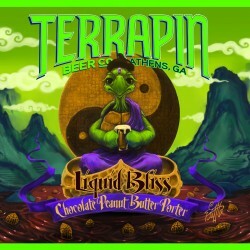 Terrapin Beer Co Liquid Bliss is a chocolate, peanut butter porter. No, your eyes are not deceiving you. They really did it. To me, the nose was all cocoa. God bless whoever discovered cocoa nibs. 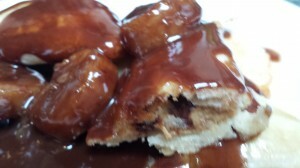 As it rolls over your tongue, you get the hint of peanut butter & a slight saltiness from actual peanuts. The porter itself is beautiful & dark, hinting at the “bliss” inside. The sensuousness of the beer made me immediately think of something smooth & silky. And, the rich, smooth, silky Terrapin Beer Co Liquid Bliss Chocolate, Peanut Butter and Banana Sauce hits the nail on the head. I made the empanadas with it, but it’s truly a sauce for all occasions. Put it on ice cream, pancakes, waffles, bread pudding or just a spoon. My friends who taste tested it would have gladly just eaten the sauce. It is so “bliss”-fully good, it should come with a warning label! 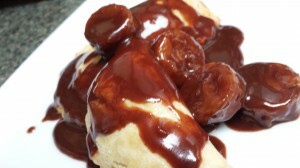 Terrapin Beer Co Liquid Bliss Chocolate, Peanut Butter and Banana Sauce. This could easily be made for breakfast or dessert. It would be a great idea for a brunch! You don’t need to make empanadas with this – the sauce is ridiculous all on it’s own. It would go great over crepes, ice cream, bread pudding, waffles….. You get the idea! P.S. Whenever I do something with an egg wash, when I’m done, I microwave what is left and feed it to my pups. They LOVE eggs. They’re happy and no waste! Even the spoon is happy! Melt butter in in fry pan. Add sugar. Heat over med-low until sugar dissolves. Add chocolate and Terrapin Beer Co Liquid Bliss; cook until it reduces & has thickened, stirring continuously. Add peanut butter & salt. Heat until peanut butter is completely incorporated. Add bananas. Simmer for 3 minutes. 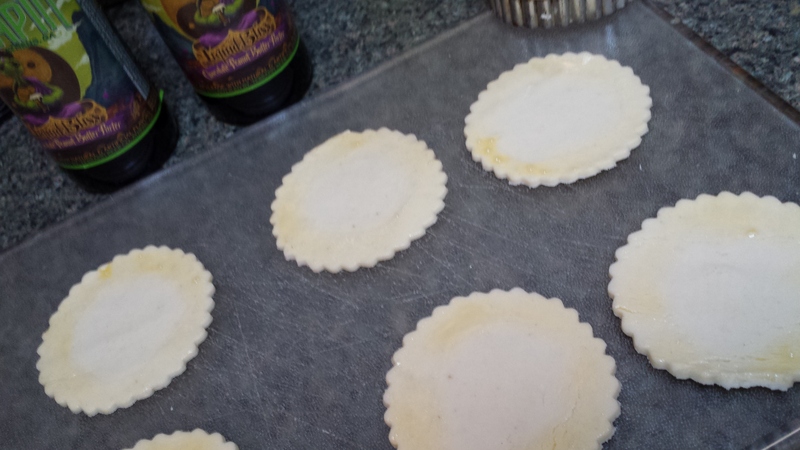 Cut out pie crust into rounds. Put @ 1/2 tsp of peanut butter and 6 morsels on side of the rounds.The size of the rounds will determine how much peanut butter & morsels to add. Don’t fill with too much of either. The sauce is the star here! Brush edges of crust with egg wash. 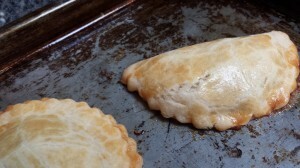 Fold over crust. Be sure to pinch to edges together. Brush tops with egg wash. Bake at 375 for @12 minutes. Serve warm with sauce over top.